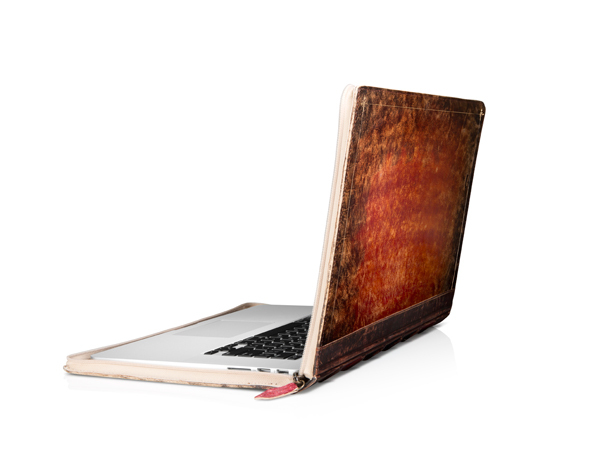 Twelve South has just introduced another option in its popular BookBook case line for MacBook users. The standout feature of the new Rutledge edition is its unique leather exterior. Thanks to a new coloring technique that applies multiple layers of color and then removes selected elements, each cover offers a slightly different finish that highlights the natural grain of the leather. And beyond the exterior, two hardback covers with reinforced corners and a rigid spine help protect a MacBook from impact and drops. The padded interior also helps to cushion the machine. Its dual-zipper system allows users to charge their laptop while still keeping their MacBook safe. Available for the MacBook Air, MacBook Pro, and MacBook Pro with Retina Display, the Rutledge can be ordered directly from Twelve South’s site now for $99.99. 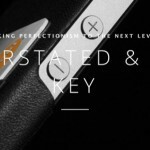 While it might be a little expensive, Twelve South does a spectacular job designing high-quality accessories, and this new case looks to easily continue that trend. For other recent accessory news and reviews, see: The Mophie Space Pack Case Review, The TravelCard Is A Credit Card Size Battery Pack For iPhone, and FineGrain's Coburn Jr. Is A Simple Wood Stand For iPhone.